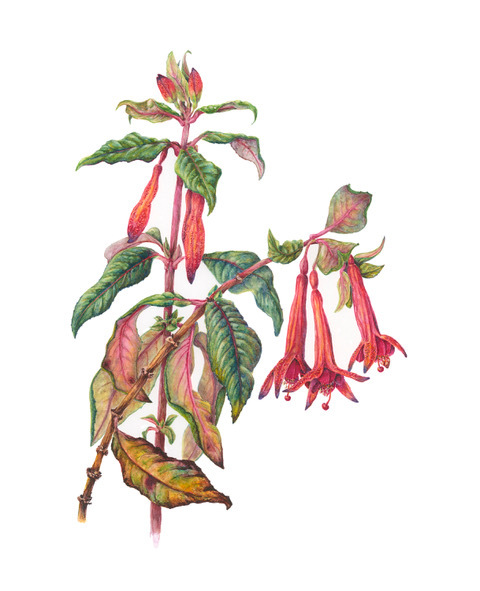 Catherine has been studying botanical art since 2008 with Mary Harden. 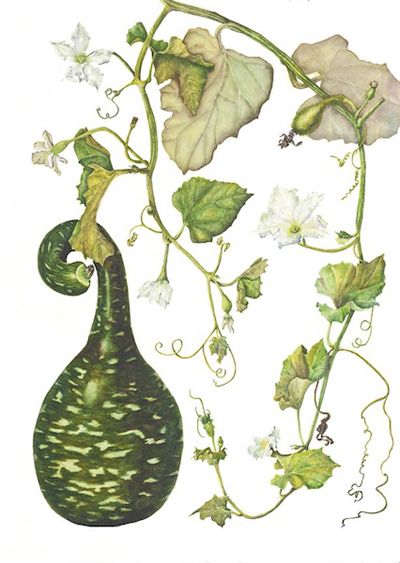 She received her Master Artist in Botanical Illustration certificate in 2009 from San Francisco Botanical Garden Arboretum’s program developed and run by Mary. Catherine studied commercial art in college and worked for many years in Silicon Valley as a mask layout designer, drawing computer chip masks. During a 10 year career break at home with young children, she studied ornamental horticulture and ran a landscape design business. She says she spent too much time on the drawings, a hint as to how she would eventually be able to combine her loves of plants and drawing. Now retired, she looks forward to a deepening of her skills to better capture the elusive essences of plants. In addition to Mary, Catherine has taken master classes with Ann Marie Evans, Jenny Phillips, Carol Woodin, Jean Emmons, Susan Fisher and Elaine Searle. She has participated in many group exhibits, most recently: Juried Filoli Exhibit; Annual UCSF Faculty Lounge Exhibits; Liberty Arts Gallery, Yreka; Hayward Shoreline Interpretive Center; Annual UCBerkeley Botanical Garden Exhibit; Alcatraz Florilegium, Alcatraz Island; St. Petersburg Botanical Garden, Russia; Huntington Library, Pasadena. Catherine serves on the board of NCalSBA as well as the national board of ASBA.